This is a native style spicy gravy from Tamilnadu (my mother's style!) that goes well with rice, idli / dosa; easy to make and rich in flavour! 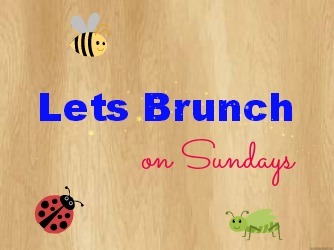 Thanks to veena and priya for hosting an event "Let's Brunch on Sundays" to improve the frequency of our blogpost. Click here to know more about "Let's Brunch on Sundays" event. Clean the crabs and keep aside. Grind coconut and fennel seeds with little water to fine paste. Keep aside. Take a wide kadai; add oil and season with fenugreek seeds, fennel seeds and curry leaves. Once it splutters, fry chopped onion and garlic followed by dry spice powders and fry for few minutes; then add tomato and salt. If you feel it is sticking to the pan, add little water. Add crabs when tomato starts melting and mix till masala coats well and the colour changes to slight pink. Add the tamarind extract and coconut paste with water (adjust according to the required consistency). Stir well; close the lid and allow to boil for 5 to 7 minutes. Simmer for another 10 minutes till the oil floats and the mixture becomes thick in consistency. Then add few curry leaves before removing from stove and close the lid to enhance the taste. Allow it to rest for some time. Serve hot with steamed white rice, idli or dosa. Check also my Chettinad Crab Masala / Chettinad Nandu Masala Recipe. Ahh, that makes me drool.. Yummy & spicy looking gravy :) Apt for a Sunday lunch !! Seriously its been a age i had crab curry,fingerlicking dish.. The curry looks so yumm..
Looks good am cooking this recipe and will come back and give you how I enjoyed your recipe. Happy i found a site with true and simple recipes. Thank you poornima for tried my recipe and I am happy that your family members liked it! Hi. 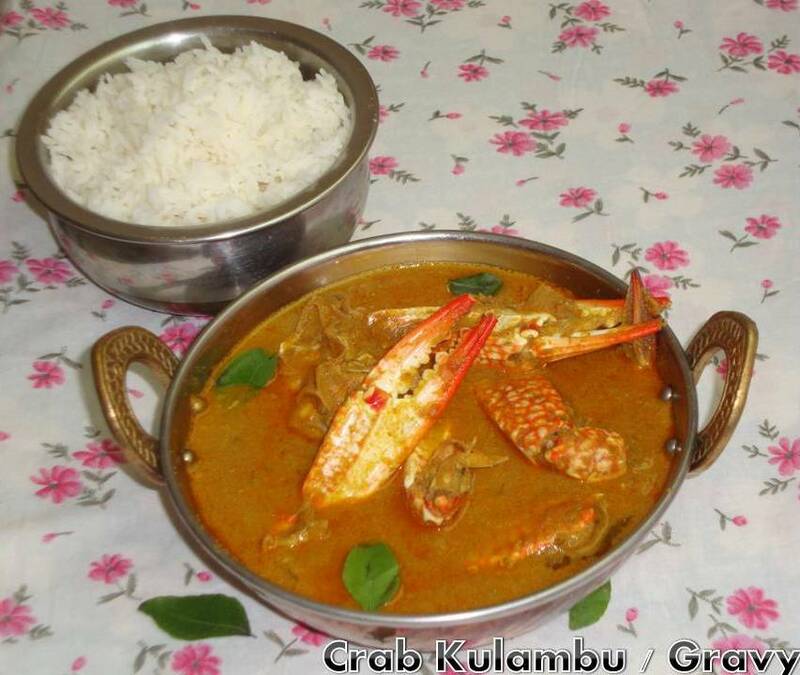 This was the first time i tried crab kulambu from ur site, it was excellent and yummy. my hubby loved it. Thank u mam.